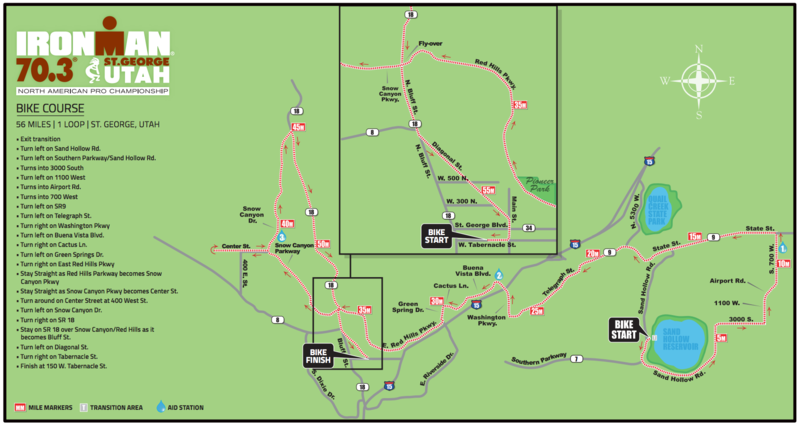 ST. GEORGE – Southern Utah is once again providing the stunning backdrop and challenging course for the Ironman 70.3 North American Pro Championship St. George that triathletes of many levels from novice to professional will swim, bike and run Saturday. With a production of this size and caliber come many fun and exciting events as well as traffic impacts on the communities. Whether you are a fan of the event or just need to get from one place to the other, we have compiled a race week guide to help you navigate your way around town and identify events to enjoy and participate in. IBB Cyclery and Multisport, 185 E. Center Street in Ivins, will host a pro bike roundup featuring professional Ironman triathletes as they showcase their bikes Thursday from 5:45-7:30 p.m.
“Iron George” Streetfest with free bike valet, entertainment and more will take place from Ancestor Square, 2 W. St. George Blvd., down Main Street to Tabernacle Street Friday from 6-11 p.m. 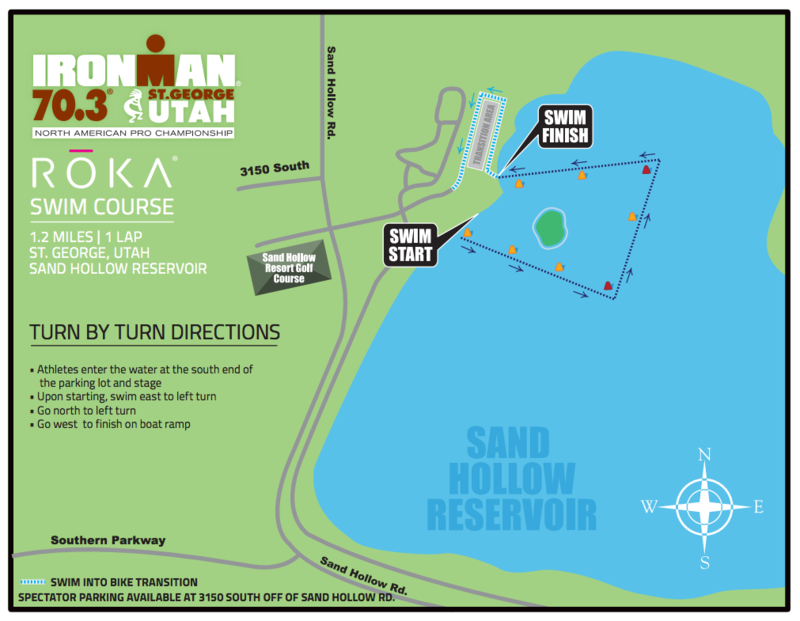 The Ironman 70.3 St. George course winds its way through a 1.2-mile swim at Sand Hollow State Park, a 56-mile bike ride through Snow Canyon State Park, and a 13.1-mile run that ends at Town Square Park in the downtown historic district of St. George. Ironman has made a few changes to the bike course for 2016. Based on feedback from the athletes and local road projects, the course has eliminated the out and back section on Highland Parkway in Washington City and the technical and slow section through the park and softball fields in St. George. 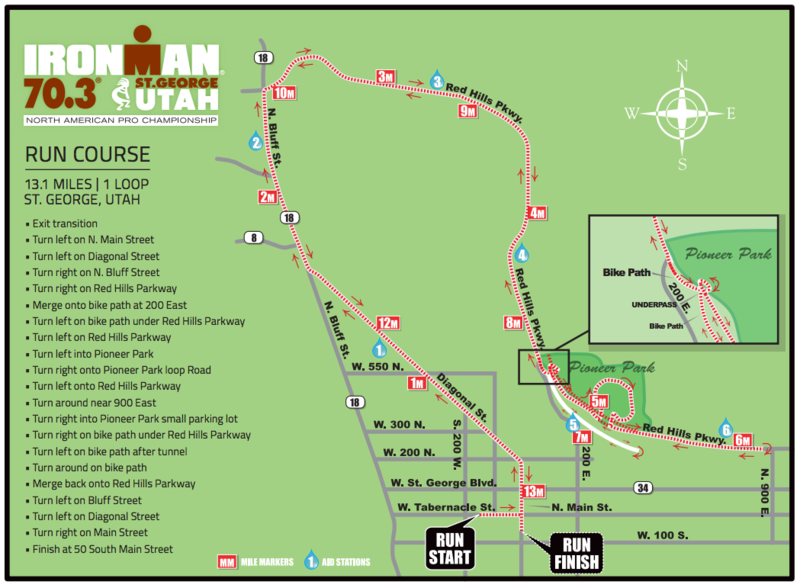 To make up for the distance, the course will now travel further into Ivins on Center Street and then make a U-turn and head toward Snow Canyon State Park for the signature climb. “We are always looking for ways to improve our races and the athlete and spectator experience. The course changes were mainly made to improve athlete safety and the safety of the motoring public. These changes will ideally streamline and reduce impacts for the community as well,” said Ironman 70.3 race director Dave Reid. I love it when the Ironman gets here because I get to listen to all the whiners cry and moan about having to use a street 2 blocks away from their house instead of the regular street they use. ..
and then there are the old timers at the grocery stores standing in line complaining about people coming into ( their ) town and upsetting the natural flow of things. LOL ! and then my favorite whiners. crying and whining and saying. notice how the Ironman route never goes down the street where the city council members live LOL ! I think I’ll train to compete next year. And that’s all I will do is think… Block my street! It gives me an excuse to sleep in ?